Each year group studies a topic over a term, or half term. These topics enable us to provide meaningful and cross curricular learning experiences for our children which enable them to make connections with the world around them. If you would like further information about our curriculum, please contact the school office. Here are the topic maps for 2018-19. We are currently working on a pilot to develop our curriculum, so some of the topics may change throughout the year. In September 2019 we will be relaunching our new ‘Canonbury Curriculum’. Science is linked to our topics and children learn scientific skills and content in a meaningful and cross curricular way. They will have opportunities to gain knowledge and understanding through first hand experiences, as well as using books, charts and pictures and web-based resources to support their learning. They are encouraged to design and carry out their own investigations as well as communicate what they have found out to others in a variety of different ways. We teach children to use computing following the new scheme of work which includes programming and algorithms. We have an IT suite where children can learn new skills. We also have laptops which the children are able to use in class to support learning across the curriculum. Art is taught by a specialist teacher and we pride ourselves on the quality and progression that our children show in their work. We invite you to view our Art page where there is a slideshow of art across the school. 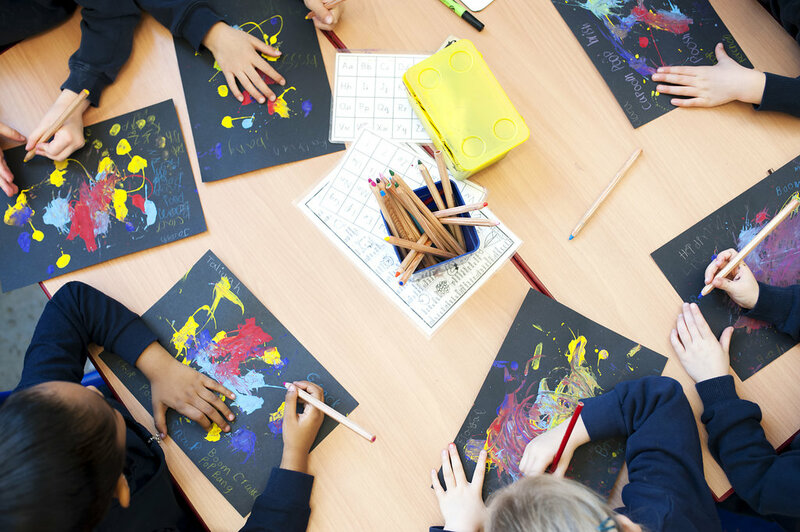 Children have opportunities to build on their understanding and appreciation of art in a variety of forms and style and from a variety of cultures through a cross curricular topic approach. They learn to use different art techniques and develop an awareness of shape, colour, texture and pattern as well as understand the properties of materials. Throughout their time at school pupils will visit a number of art galleries and work using a range of media. Children have the opportunity to develop an awareness of the past, an understanding of how and why things change and how events shape the present and future in British and World History. They use a range of historical resources including artefacts, books, pictures and photographs. Children are encouraged to ask questions about the past and to discover more about their lives and surroundings as well as learning about what it means to be British. In Geography, children learn about their own environment and other areas in different ways. They learn to follow directions, map read and make their own maps as well as explore the weather and carry out surveys and collect and present data. Children also learn economic factors about the environment including the use of land and the effect of their actions on the world around them and the climate. This year, children will learn about food, cooking and nutrition under the National Curriculum. Children will learn through activities such a preparing and cooking a variety of dishes, including hot and cold meals, desserts and children will be able to use a variety of cooking equipment: scales, knives and utensils etc. Children will also be introduced to growing and harvesting fruit and vegetables and learn about farming and agriculture process. Weekly Sport and Athletics are taught by Team Kickstart, our specialist coaches and we take pride in the emphasis we place on physical education and fitness. Meanwhile class teachers lead gymnastics and dance in a progressive rolling programme year on year. Children in Year 3 have weekly swimming lessons throughout the school year. All children have two PE sessions per week. We invite you to view our PE and Sport page for more information and pictures of what PE looks like at Canonbury. Our scheme of work for Religious Education is based on the Islington agreed syllabus, which covers the world’s major religions. At Canonbury Primary School we value the diversity and wide variety of religious backgrounds represented by our staff and pupils. We reflect these traditions in our teaching and seek to promote high levels of understanding and tolerance.